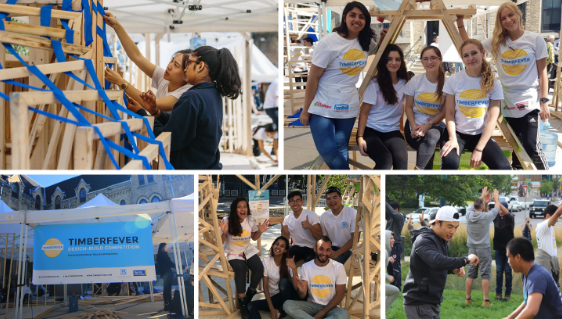 The event was a tremendous success with architecture and civil engineering students from universities across Canada, including Ryerson, U of T, UNB, McGill and more! Participants were given a surprise brief at the start of the competition where they were tasked with building a "Water Station" out of wood. 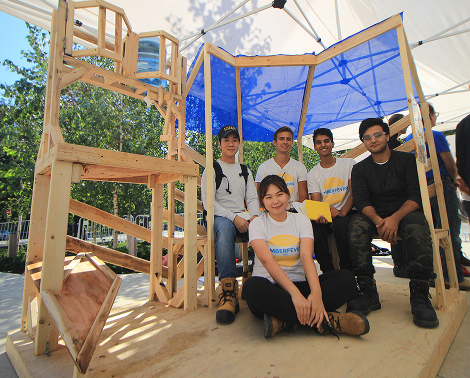 Students from both programs worked together in 16 teams with limited building supplies. 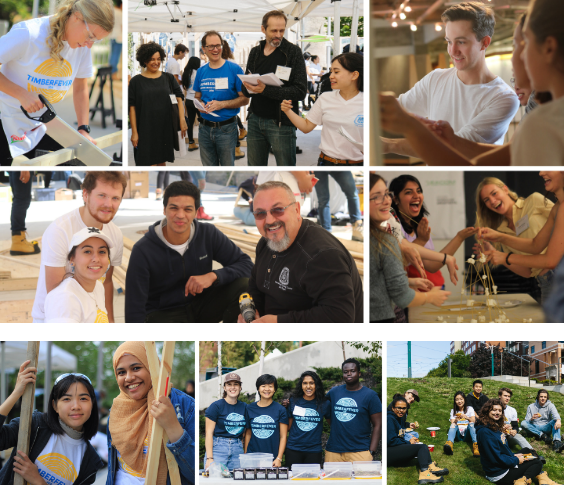 The four-day competition was held at Ryerson University and University of Toronto this past weekend. Since the beginning, we've felt a real sense of community around TimberFever, where everyone comes together to collaborate, teach and inspire. It's been wonderful to watch and we're so thankful to everyone involved! 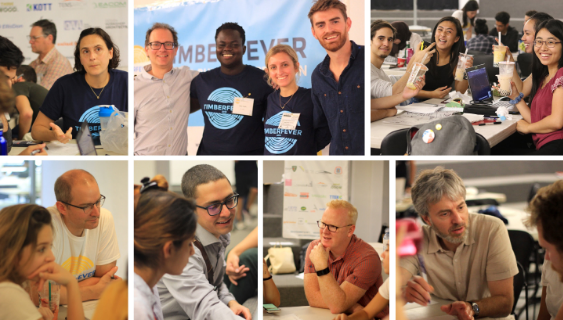 Industry leaders volunteered their time to mentor the teams and judge the winners (view the TimberFever Judges & Mentors), while and Carpenters Union (Local 27) provided hands-on support during construction. The contestants were truly inspired by you! They demonstrated teamwork, communication, time-management, and woodworking skills. Congratulations to "Melting Iceberg" for winning first place! They took home a cash prize of $1500! Second place and $1000 goes to "In Motion"
Third place and $750 goes to "Golden Refill Station"
Vote Now for the People's Choice Award! The general public is invited to vote online for one of the 16 projects for the People's Choice Award! Click here to cast your vote. Want to see the projects in person? Visit David Pecaut Square, Metro Hall, at 215 King St. W., Toronto until Sept. 26. 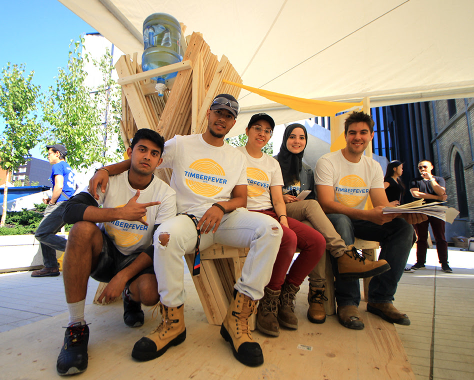 When David Moses first brought the concept of a student design-build competition to Ryerson University back in 2015, he found an excellent partner in coordinating and hosting this event – not just for the architecture and civil engineering students at Ryerson, but for all the additional universities across Canada who participated. Thank you, Ryerson! 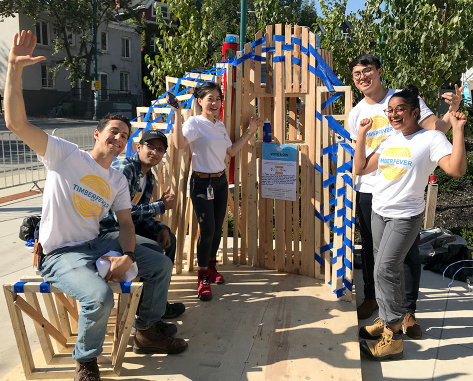 This year, TimberFever was held at Ryerson University for the first two days of the competition, and at University of Toronto (at John H. Daniels Faculty of Architecture, Landscape and Design) for the last two days, including the TimberFever Awards Ceremony. Thank you, U of T!! 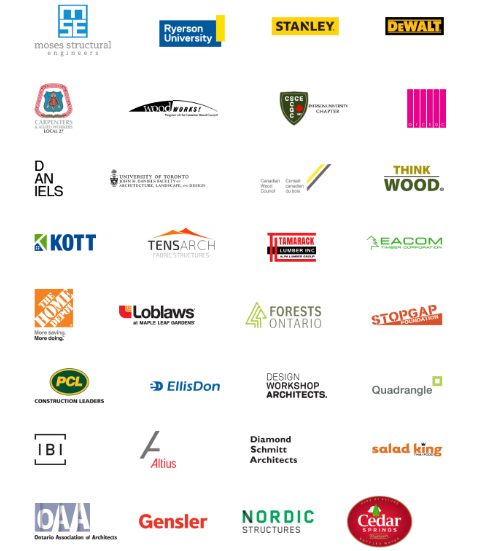 TimberFever owes many thanks to our generous Sponsors who have supplied the lumber, tools, hands-on support, and additional finances to help make this competition a reality. The world has TimberFever! New wood products and advancements in building science and technology have created exciting new opportunities for wood design. Wood WORKS! proudly supports TimberFever and applauds the next generation of innovative timber thinkers. Congratulations to all TimberFever teams this year – we are impressed with your creativity and hard work! Think Wood is proud to support TimberFever 2018, a chance to showcase the next generation of experts who will lead the way in showing what's possible with wood architecture, technology and innovation. TensArch was happy to provide the fabric used in this year's TimberFever Design-Build Competition. We're so impressed with everyone's hard work and all the wonderful ideas the students came up with! Congratulations to all TimberFever participants!